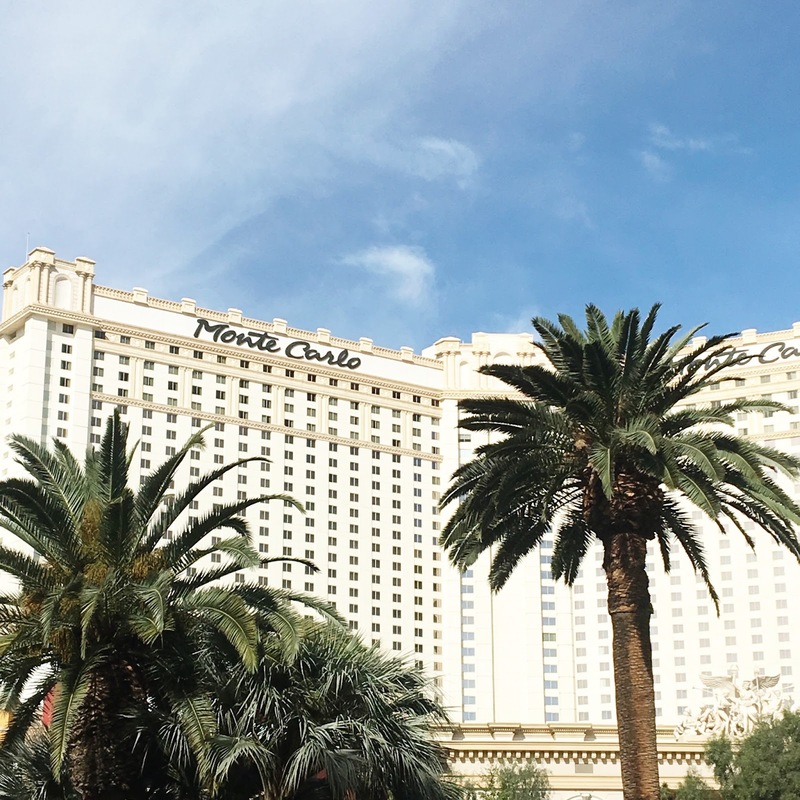 This past week we were able to visit the Monte Carlo Resort and Casino in Vegas. It will be the last time we get to stay here before it turns into the Park MGM. We are excited to be able to experience the new Resort and Casino when it has it’s grand opening next year. Stay tuned to find out when the grand opening will take place. 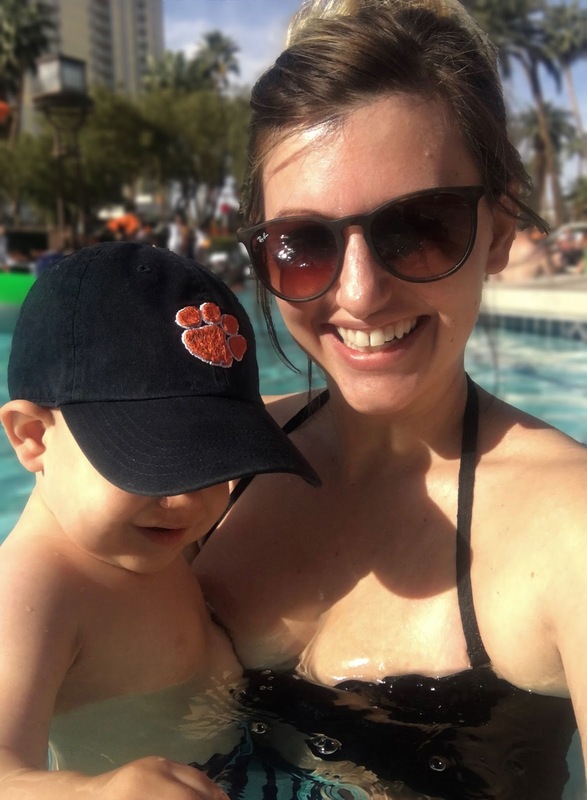 We got to spend a lot of time at the MGM Grand‘s pools to stay out of the heat. They have five pools to pick from and while the Monte Carlo is in transition we were able to enjoy them all. I will have to say that Wesley’s favorite part about the trip was the time spent in the pool. We are now home from Vegas and we are staring to catch up on sleep. I know what you think when I say that but instead of partying we were trying to get a 15 month old to sleep on the time difference. When traveling with a 3 hour time change it can sometimes be tricky but I will have to say that Wesley did much better than expected and it helped with having such great hosts at the Monte Carlo Resort and Casino. We have a great time while out west, and it was fun to watch Wesley have so much fun around the hotel and the MGM pools. He also had a great time dancing to street performers and gave so many strangers high fives. He is at such a cute age and is just such a loving boy. Overall our trip was such a great success. Again I can’t wait to see what the Park MGM has up their sleeve to do to the Monte Carlo but I will say that it will be beautiful. Be sure to keep your eyes out for the Park MGM on your next stay in Vegas in 2018. Previous Post High Slit Anyone? We took our son to Vegas when he was around the same age and it was a lot of the same! My grandfather lives there so we were visiting him and also taking in all that is Vegas. It ended up being such a struggle with the time difference! Glad you guys had a great time! We are about to take our first trip with Ivy to visit my husbands family out of state. It's not even a time change, and I am so nervous! Glad you all enjoyed it. Love your striped top!